Below is my first ever post on Inspire. Considering the name of their discussion boards, I thought my story was a good fit for their members. Some of the members seemed to like what I said. In all fairness I probably shouldn’t have linked back to my website as that does breach their terms and conditions. My name is John Redfern and I have a psoriasis blog over at smartpsoriasisdiet dot com. The aim of the blog is to help you control you psoriasis through diet, supplements and small lifestyle changes. I don’t particularly like drawing attention to myself. I would be classed as an introvert and it is only in the past 4 years that I have been comfortable telling people I have psoriasis – (I am 34 now). I get unduly stressed out about making a fool of myself on a public forum like this. I also know there are people on here a lot smarter than me who will pick holes in the way I control my psoriasis. And one thing is for sure, stress is bad for your psoriasis, so I usually tend to avoid stressful situations. However I am now at a stage in my life where I figured out what triggers my psoriasis and I am sure that my story can also help many of you here on this forum. I called in sick from work because I couldn’t face the thoughts of what my colleagues would say/think when my psoriasis had gotten so bad on my face and hands. I spent most of my 20’s drinking myself into oblivion to try and numb the mental anguish psoriasis was causing me. Little did I know at the time but that was one of the reasons why my psoriasis was getting worse year by year. One story that really stood out was when my football team mate would not take my jersey when I was substituted in a football game. Because we only had enough jerseys for the on-field team, the replacements had to use your jersey when you were substituted out of the game. He didn’t know what psoriasis was and thought the spots on my skin were contagious and therefore wouldn’t take my jersey and refused to go onto the field. Another story was when a girl in my college class said to me “Should you not be at home with that chicken pox?”. I don’t know why but that really affected me at the time. I am sure we have all experienced stories like this and they do leave a lasting impression. I created my blog as I had tried other psoriasis diet regimes such as John Pagano’s diet and also the anti inflammatory diet and yes I did notice changes for the better, but I always got to a point where my psoriasis would stop spreading but it would not totally disappear. But what is a good diet? After finding limitations with the Pagano diet, the Paleo Diet and the anti – inflammatory diet I decided to combine the best bits of all the diets, do some further research along with personal trial and error experiments and eventually create my very own Smart Psoriasis Diet plan. 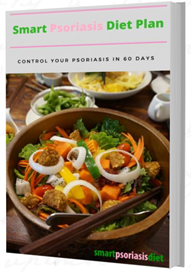 The aim of this diet plan was to find the most effective way to gain control of my psoriasis with the least amount of effort required. I wrote a pretty detailed blog post called “The ultimate guide to psoriasis diet treatment plans” – http://www.smartpsoriasisdiet.com/ultimate-guide-psoriasis-diet-treatment-plans which details the process of how and why I came up with the Smart Psoriasis Diet Plan. All I hope to do is be honest and transparent on my blog. I am not a qualified nutritionist or a medical professional. My qualifications consist of a degree in economics and a higher diploma in software engineering. But what I do know is a professor of dermatology who teaches in the university near where I live told me face to face that diet has NO bearing on the condition of my psoriasis. Forward on 2 years and without using prescribed pills like mtx, new biologics like humira or strong steroid creams such as dovobet I have less than 2% coverage of psoriasis through diet and lifestyle changes. I haven’t met the professor yet but I look forward to my next encounter with him. Before I finish up my first forum post on inspire, as it has really gone on for too long, I would just like to say to people who have tried and failed with a psoriasis diet before to seriously reconsider giving it another go. You were more than likely so close to succeeding but were missing one or two essential items from your diet that would have turned the corner for you. When I was a teenager I use to make this weird mental agreements with myself that if I could guarantee my psoriasis would never again appear on my hands or face I would have gladly accepted it. So to get to a stage where I now have barely any psoriasis not only on my hands and face but minimal psoriasis all over my body is such a great feeling. And if I can do it, then I am sure you can too.